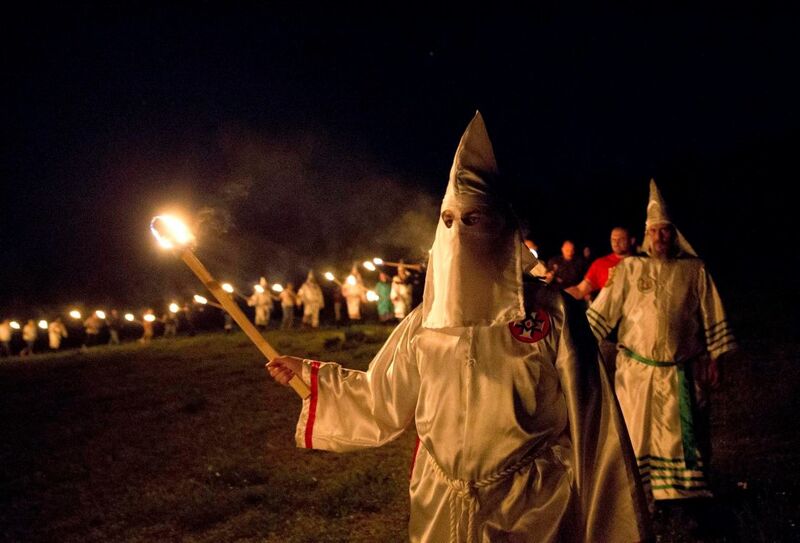 What Does the Official Uniform of the KKK Have to Do With Medieval Easter Penitents? 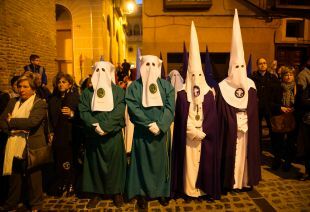 Tourists strolling the streets of Spanish or Portuguese cities during Holy Week, the days building up to Easter Sunday, might be taken aback to find processions of men clad head to toe in long robes, wearing conical hoods that cover their faces. 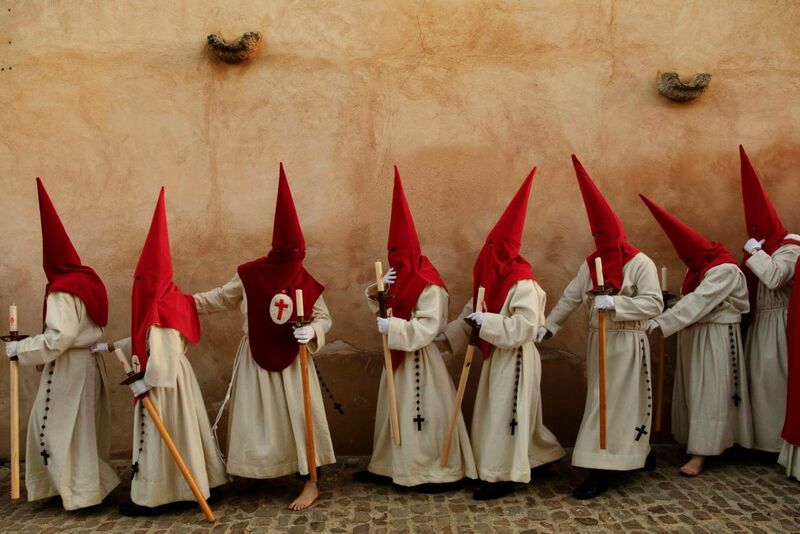 They look just like the Ku Klux Klan, but are just Catholic adherents making penitence for the past year's sins. 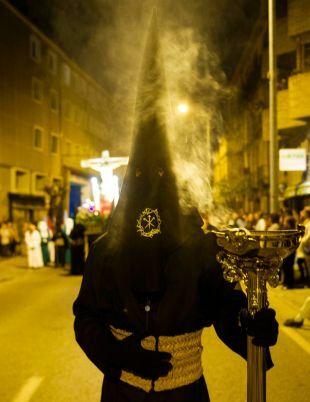 The capirote, as the conical headdress with eyeholes are called, evolved during the 16th century, when the Spanish Inquisition was in full swing. This period of enforced piety evoked a number of practices for sinners to atone for their sins, especially in the week before Easter. Among the innovations beyond vitalizing self-flagellation was the donning of a cone-shaped hat. Sometimes the capirote identified their wearers' particular sins by color and insignia. Although public mortification was presumably the point of the practice, over the years, capirote wearers began to make their hoods longer and longer, finally completely covering their faces. Thus their form came about centuries before the advent of the Ku Klux Klan. The original Ku Klux Klan formed in 1865, during the Reconstruction Period that followed the American Civil War. The KKK was an underground insurgent group of Confederate war veterans who turned to terrorism - intimidation, violence and murder - in order to stave off the reconstruction of the South imposed by the “carpetbaggers” from the North. This loose organization, whose name probably comes from the Greek word for “circle” - kuklos, did not survive long, and by the early 1870s, it was no more. It is difficult to reconstruct how klansmen dressed in this period, as we have no photographs. But there are many contemporary accounts of klansmen dressed in “women’s clothing,”, and reports of mask wearing and use of blackface too, but little indication of the use of pointed hoods. In general, the original Klan seems to have been too disorganized and decentralized to have a uniform, and its adherents marked themselves in different ways. 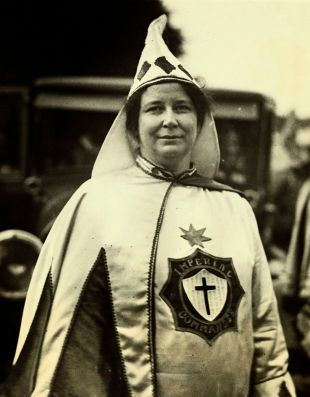 The regalia we associate with the Klan today was adopted during the group's second iteration, in the early 20th century. One William J. Simmons of Atlanta was obsessed with fraternal societies, which were very much in vogue during the beginning of the 20th century, the height of the Temperance Movement, as wholesome alternatives to the saloon. Simmons belonged to over a dozen organizations, worked for one of them, the Woodmen of the World, and dreamed of starting his own fraternal organization one day. In 1915, inspired by Thomas Dixon Jr.’s novel “The Clansman: An Historical Romance of the Ku Klux Klan,” he reestablished the Ku Klux Klan as a fraternal organization. Although the KKK relaunch was timed to coincide with the debut of “The Birth of a Nation,” D. W. Griffith's cinema adaptation of “The Clansman,” the new Klan drew few members in its first five years. Only after Simmons hired professional publicists in 1920 did Klan membership take off, peaking at millions of members in 1925. Then it began to decline again and by the 1930s, the movement vanished. It would again be revived, albeit less successfully, in the 1960s. Simmons’s organization and thus Simmons himself made their profit from membership dues - $10 - and from official Klan regalia, which he manufactured and sold. 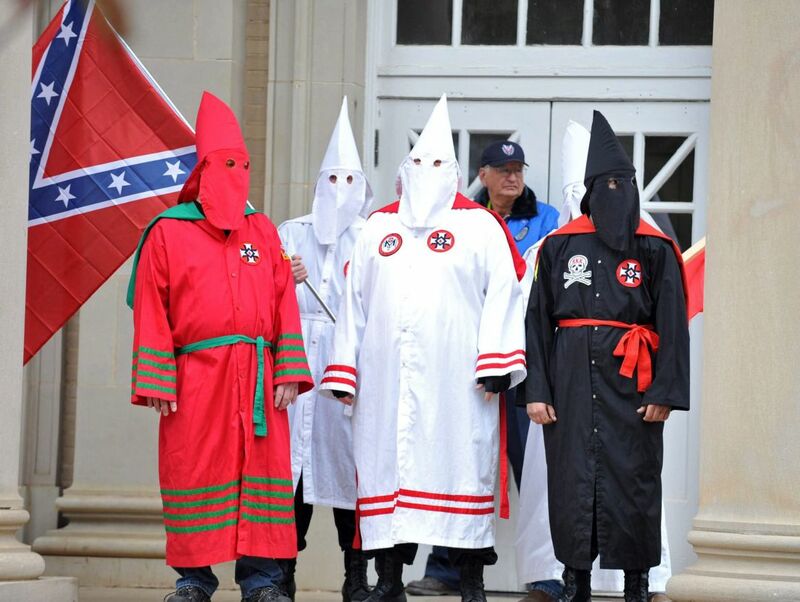 These are the white robes with conical hoods we associate with the Klan today. 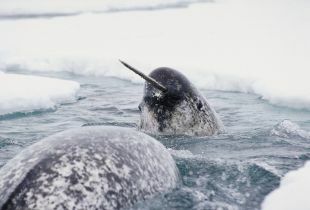 The only snag is that the clansmen in the book and film did not wear conical hoods, they wore white hats with a long pointy stick on top, giving the wearer the look of a narwhal and the headgear the semblance of a toilet plunger. Perhaps what led Keller to envisage a hat with a pointy stick atop was the time he spent in Germany, where he probably saw the Prussian pointed helmet, the Pickelhaube. But Simmons didn’t sell hats with pointy sticks on top, he sold coned hoods, and those become the official regalia of the KKK. We don’t know why he did this for sure: whether he was inspired by the medieval Iberian example, or thinking of his profit margins - conical hoods are far cheaper to manufacture and ship than toilet plunger hats. 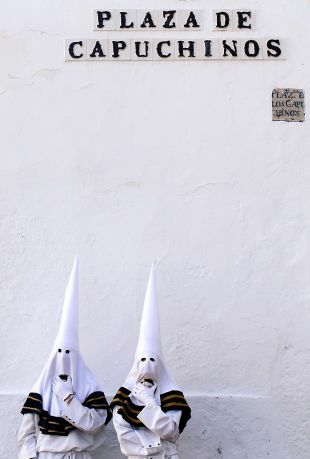 Thus the KKK got hoods that look just like the capirotes back in Iberia.